Every night at dinnertime, it’s the same routine: Mom painstakingly circles the table, putting each place setting carefully in order. Cups and plates, silverware and napkins, condiments and trivets, each has a rightful place on the cloth. As dinner is called, she waits for my son to pull out her chair so she can settle in and wait to be served. 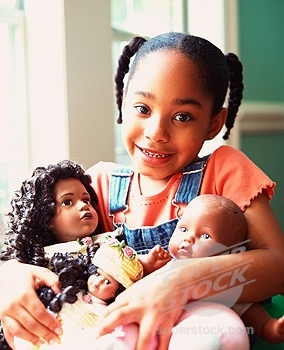 She doesn’t say much as the kids tease and squabble, and we parents ride herd, hoping to turn it into a meaningful connection rather than a free-for-all. She just smiles, sometimes knowingly and other times absently. When I bring out the squirt bottle and administer justice when things get too out of control, I sometimes hear a chuckle. And when she speaks, the whole table grows quiet, waiting to hear what she has to say. Meals are such a microcosm of family life. My culinary skills were honed at an early age, and I learned to take pride in cooking for my family, expressing my love for them by creating beautiful family memories around the kitchen table. While most of the time I manage to get dinner on the table in 30 minutes or less, I enjoy cooking on weekends when I can slow down and put together something delicious, something a bit more memorable. Something that will be savored, and will inspire those I love to slow down, put away the electronics, and enjoy each other. As time has passed, this particular expression of motherly love is too often downgraded to a chore to be resented and, when possible, delegated. But when this happens, something important is lost to the cultural zeitgeist, which demands that men and women be equal, dammit. Each chore split fifty-fifty because a man should be called upon to do anything a woman needs to do (and vice versa). Me? I kind of miss the days when mothers understood the influence they wielded within the family. When adults understood (and taught to the next generation) that these gestures of love and respect matter, that they are the glue of family life. I confess I liked it when men and women both took pride in what they wore, how they carried themselves, how they spent their time; how they treated others in public and private meant something. There was a common moral code of conduct that was understood to be in the best interests of everyone. You held up your end, and focused more on your personal responsibilities than your personal rights. Looking back, I appreciate the struggle my own parents endured to keep us going. Dad drove buses and served in the military, and commuted three hours each day to provide for his family, while my mother stayed home with us. They seldom had two extra pennies to rub together, but every last bill was paid in full. Eventually. Even if that meant eating a lot of soup and wearing only hand-me-downs. Mom made it work, though we didn’t realize how stressful it was at the time. It’s no wonder she had migraines. Time passed, and once more Mom and I are under the same roof. I feel certain that she doesn’t completely understand some of the choices I’ve made, particularly regarding our work/life balance. I’ve made very different choices than she did … and those choices, like hers, deeply affected our own children in ways we couldn’t fully appreciate at that time. As I’ve often said to my kids, “You can choose your actions, but not always the consequences.” That truism has reverberated in my head quite often lately. As women, we speak as eloquently through our choices and actions as wives, mothers, and women, as we do through our words. What we say and do, perhaps especially when it comes to those thankless tasks no one notices, matters. God created both fathers and mothers, and yet they are not interchangeable. What we put on the table — and say at the table — speaks volumes to those we love. With every gesture, every sigh, every directive, we are shaping not just our own family, but that of generations to come. Because we are not raising victims. We are raising hopes. Really, God? Was that TOTALLY necessary on your part? *sigh* okay. And with a deep breath, we leap like a goldfish out of a martini glass . . . and into something infinitely less inviting and comfortable. At times like that, “fiat” can sound like something of a four-letter word. An uncomfortable, inevitable, unending . . . pain. And yet, even at times like this, there is room to learn, room to grow in love. The sweetest rose is the product of a mound of fertilizer, after all. I see you nodding. Can you relate to that idea? Well, take heart. 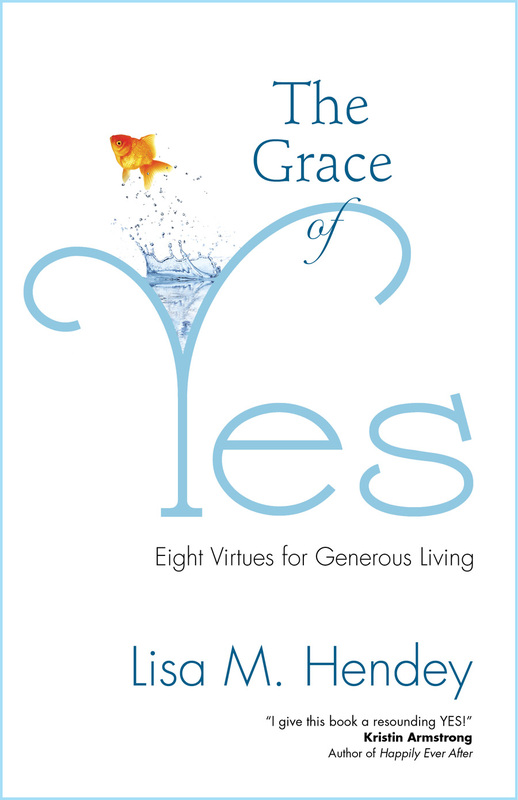 Today people all over cyberspace are blogging, pinging, and podcasting about it … thanks to Lisa Hendey and her The Grace of Yes. In my line of work, editing Catholic books on spirituality, I often get to read people’s conjecture about Mary and what she would and wouldn’t have done in a given situation. For Catholics, it’s all about WWMD? And yet, if you think about it, it’s kind of hard to extrapolate, based on our own experiences exactly what she would have done. Let’s set aside the basic differences of iPods and indoor plumbing and early dismissals. After all, she was the one perfect mom, with one perfect kid. We can’t claim that kind of blessedness. Yet over and over, we get told to . . .
Just. Say. Yes. Just. Like. Mary. To be humble. To be generous. To be … believing . . . and to be … Wait. What’s that on p.107? To be willing to say no. Because the one thing we know for sure about Mary is . . . she was a mother. And mothers sometimes have to say no. No to the good, to make room for the best. No to the possible, to make room for the most important. No to the anger, to grow stronger in love. And no to my own agenda, to make room for infinite possibilities. Today I will make a little more room in my life for the Grace . . . of Yes. Tonight as Sarah and I were getting the kids ready for bed (all of us in one hotel room, which means that I am writing this in the dark as four exhausted kidlets and my co-adventurer slumber blissfully in their beds), I managed to twist my bad ankle. Again. And yet, like a goose I kept right on doing what I had been doing before I hurt myself. I think I was getting somebody some cough medicine, or lovey, or some other such life-or-death errand. “You know, I COULD do that for you,” Sarah pointed out. And of course she was right. I could have retired to my bed and let her run around on her two perfectly good feet. Instead I gritted my teeth and soldiered on. What a dummy!!! After I finally settled in bed that night, I recounted the story to Sarah about getting my crutches from the basement. I posted about this at “Mommy Monsters” the other day. What I did not mention in the story was the inner dialogue that took place before I actually hobbled downstairs for the crutches. For about ten minutes, I wracked my brain to think of someone I could call to come over and get those crutches for me … Someone I didn’t mind seeing the carpet full of puppy shrapnel (garbage bag bits, pieces of rawhide, assorted spongy toy bits), last night’s dinner dishes still on the kitchen counter, and a whole basement full of … well, let’s just say a basement full, and leave it at that. I couldn’t think of a single person. Not one. Those I knew well enough to call either worked or lived FAR away, and those I knew casually … I didn’t have their phone number to “promote” them. So I got the blasted things myself. I felt a little better then, but still I knew that this little red flag, popping up as it has so close to Lent, signals a character flaw that needed some attention. The problem was my idiotic pride, not wanting anyone to see the house in such a state. I mean, if someone had called ME to help after they had spent two days trying not to walk, I wouldn’t expect House Beautiful. The funny thing is … it’s part of womanly human nature to help, to come alongside, to support. It’s infinitely easier to do that … than to ask for help. Even when we know it’s the right thing to do. When was the last time you felt you needed help … and were too embarrassed/shy/self-conscious/fill in the emotion to do so? If you had it to do over … would you? In the Kingdom of God, those who labor to project a flawless, seamless image never get very far. However, those who are willing to let go of the things most precious to them (including their own reputations) in order to follow in the footsteps of our Master …. leaning on Him all the way … attain the pathway to true perfection. “Saints,” we call them. Note to self: Look for an opportunity this week to ask for a little help … exercise that humility muscle! The sacrament of reconciliation is a good place to start. Who knows? Maybe you’ll make a new friend along the way!